Nintendo's main focus right now may be on the newly launched Wii U, but that doesn't mean the company is ignoring the console's predecessor. 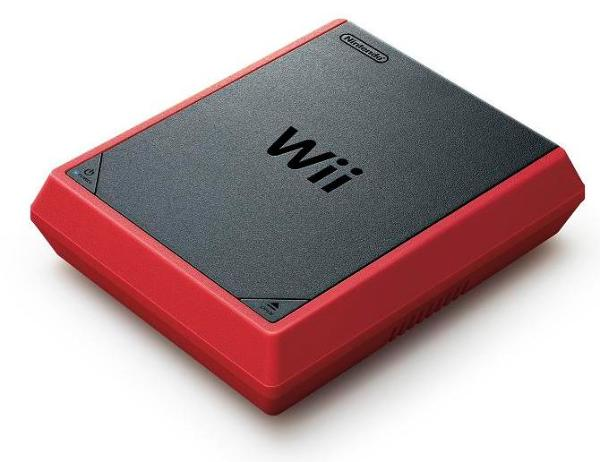 Today, Nintendo announced the Wii Mini, a $100 black-and-red redesign of the Wii that will be sold exclusively in Canada, of all places, on December 7. While the Wii Mini supports every Wii controller and all of the roughly 1,300 Wii games, it does not support legacy GameCube games and accessories (that support was also missing from a much-less-drastic 2011 redesign of the Wii hardware). A blog post at Best Buy Canada also suggests the system is missing the ability to play games online or download Virtual Console and WiiWare releases. The box includes one red Wii Remote Plus and Nunchuk, but no pack-in game. It's a striking visual redesign for the aging hardware, with a red border and black top made of a textured plastic that couldn't be more different from the glossy black or white finish of the previous Wii hardware. A triangular power button with a small LED light sits in one corner of the top, and an Open button activates a manual, top-loading optical drive, which replaces the slot loader on the original Wii. The overall impression is that of a toy rather than a game console. The Tendo Project – Daily Nintendo News is powered by	WordPress 5.0.4 and delivered to you in 2.041 seconds using 41 queries.